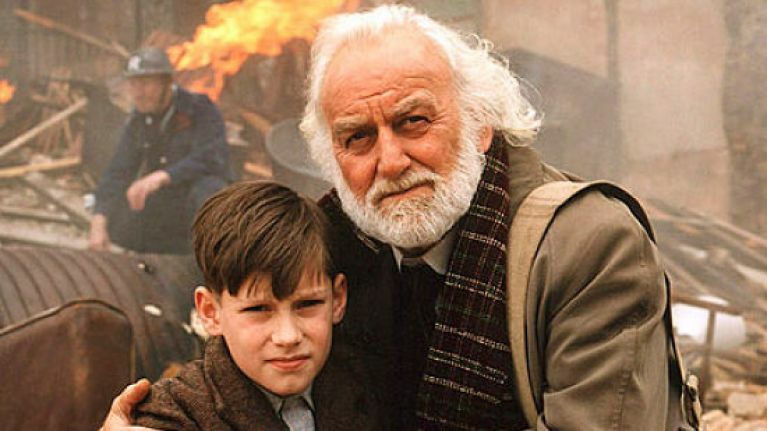 If you were channel surfing on Christmas Day pre-dinner (let's be honest, who wasn't), you might have noticed that Goodnight Mister Tom was on TV. For me and many others, it brings me back memories of secondary school and the discovery of a book I still love even now. Goodnight mister Tom is such a good film but breaks my heart? Goodnight Mister Tom makes me cry every time ? As fans of the book (and/or film) will know, it centres around Mister Tom and William, a young boy who stays with him when he is evacuated from his home during World War II. In the film adaption of Michelle Magorian's book, Tom was played by John Thaw and Nicholas Robinson played eight-year-old William or Will. It might come as a shock to learn that Nicholas Robinson is now 31-years-old and yes, we're feeling very old right about now. Did you spot this massive Phoebe mistake in the first episode of Friends? According to OK Online, he has since starred in a number of TV programmes including Midsomer Murders, Harry and the Wrinklies and Tom's Midnight Garden. Nicholas was clearly feeling nostalgic about the film too for he retweeted what people had to say about seeing the film, which was shown twice (on different channels) over the last couple of days. Nice to see ‘Goodnight Mister Tom’ on @ITV 3. And lovely to see @MrNickRobinson giving a sterling performance! You can look forward to the royalties cheque! ? Now if this is all new to you, make the time to read the book and watch the film, you won't regret it. If it's an old favourite, watch it again because honestly, it never grows old.